I want to explore the world! 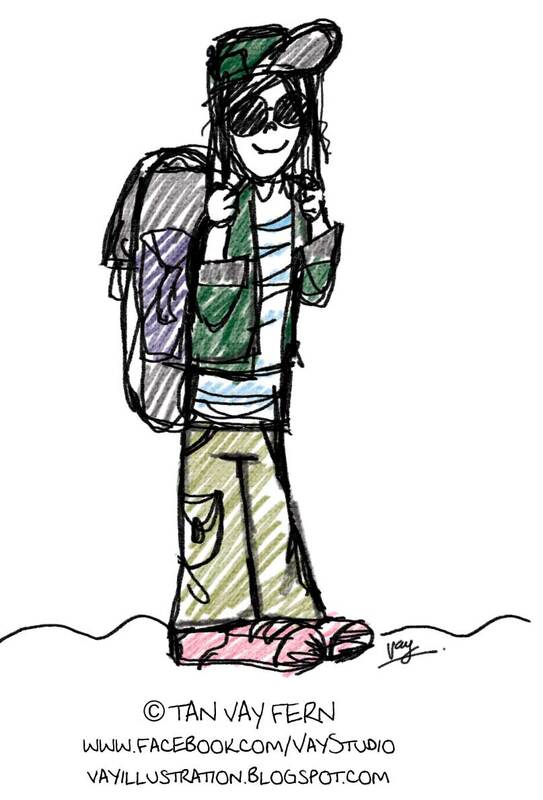 What a cute character, all decked out to set off on an adventure! Love it!